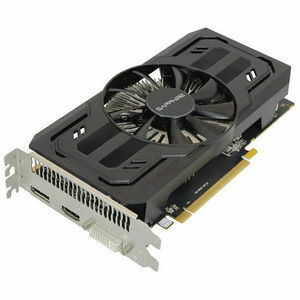 The SAPPHIRE R7 360 is the perfect start to feature rich graphics at an affordable price. A single Dual-ball bearing fan keeps the card cooll, and with the latest GCN architecture from AMD it supports DirectX 12, TrueAudio, AMD FreeSync and VSR. Its 2GB frame buffer makes it a great general purpose graphics accelerator, and with a SAPPHIRE Performance Index of 1 it is the ideal choice for online gaming at 1080p.